Make sure you use plenty of glue on the ribbon. It’s heavier! 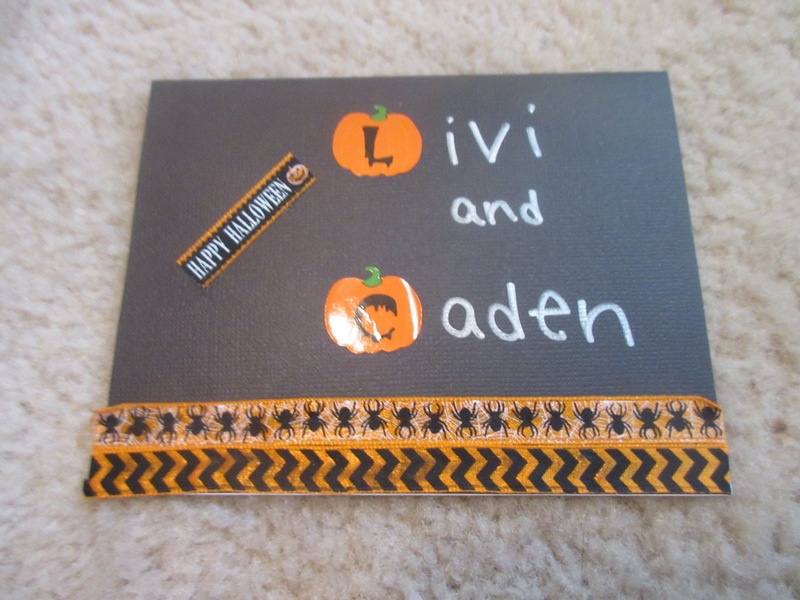 Metallic Sharpies are a great idea for dark paper or card stock! I used silver metallic Sharpie on the black card stock and it showed up great. I also included notes inside about “can’t wait to see pictures of your costumes” “enjoy the candy you receive” etc.